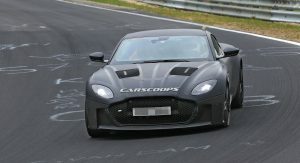 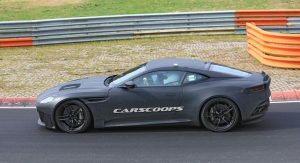 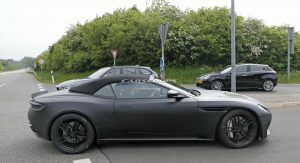 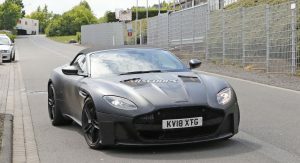 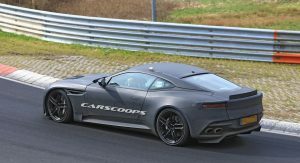 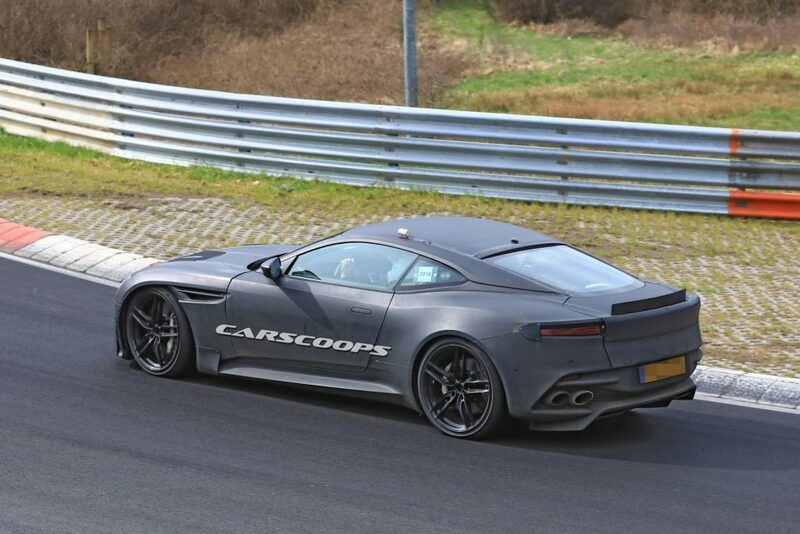 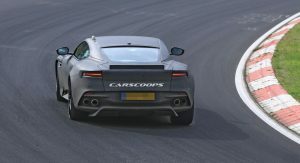 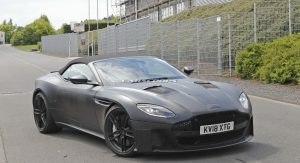 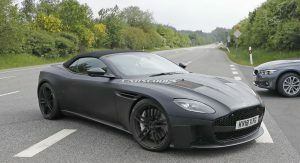 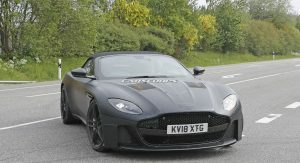 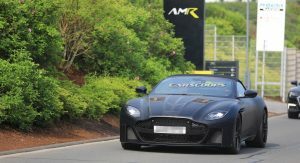 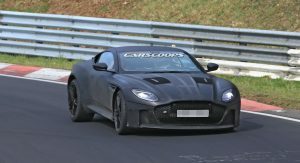 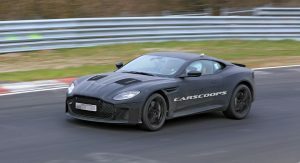 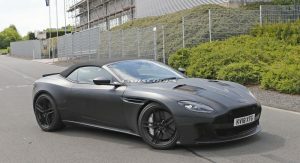 Aston Martin recently announced plans to resurrect the DBS moniker on the new DBS Superleggera and spy photographers have caught the Vanquish successor making a pit stop in Germany. 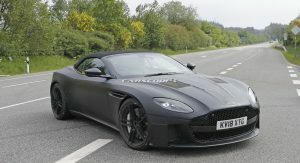 Set to offer the “highest levels of performance, craftsmanship and design,” the DBS Superleggera Coupe and Volante feature a bold exterior which follows in the footsteps of the DB11. 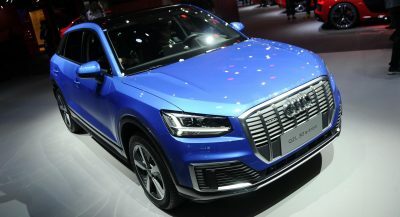 The front of the car is distinguished by a massive grille which has mesh inserts and a horizontal bar that serves as a license plate bracket. 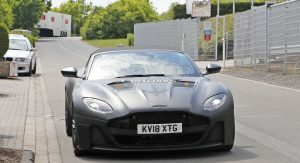 The grille is flanked by a prominent front splitter, large air intakes and stylish LED headlights with integrated daytime running lights. 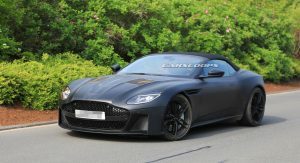 The sporty styling continues further back as the DBS Superleggera has front fender vents, aggressive side skirts and lightweight alloy wheels which are backed up by a high-performance braking system with massive discs and calipers. 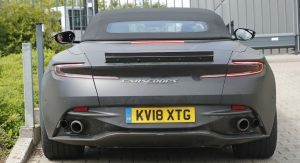 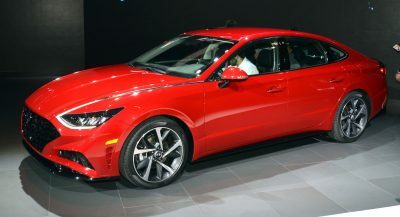 The rear of the car is also pretty sporty as the model has a four-tailpipe sports exhaust system, slender taillights and a temporary rear spoiler. 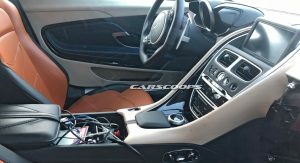 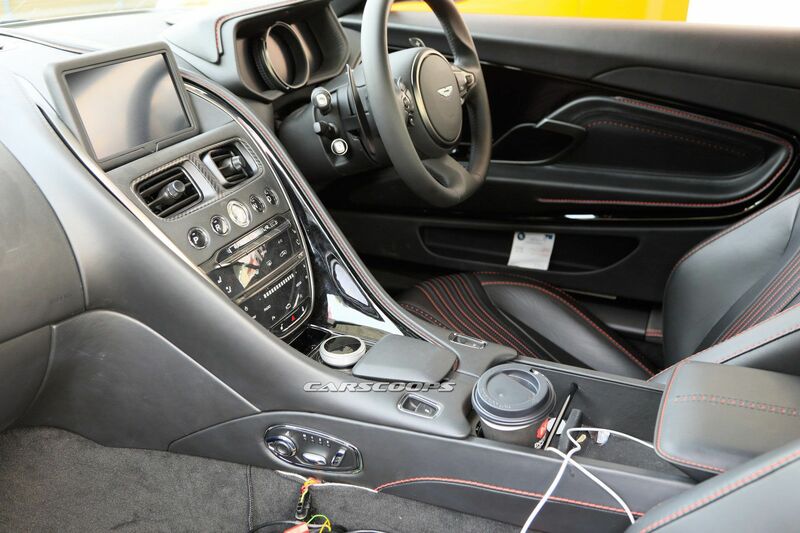 The interior largely carries over from the DB11 but we can see some minor changes including carbon fiber air vents surrounds. 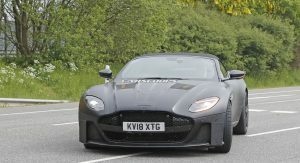 The DBS Superleggera also has a new Mercedes-sourced rotary controller for the infotainment system. 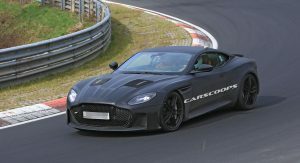 Aston Martin reserves the Superleggera name for its highest-performance models and the same appears true for the upcoming DBS Superleggera. 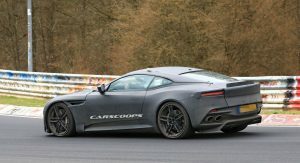 It’s understood that the Vanquish replacement will be much more focused than the old model, offering better body control and a more aggressive aero agenda with higher downforce levels. 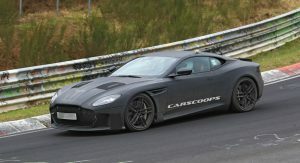 The British car maker wants the new DBS Superleggera to become a performance flagship for the brand, at least until the planned mid-engined supercar arrives in 2021. 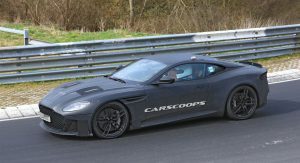 Aston Martin calls the upcoming DBS Superleggera the brand’s “definitive Super GT”. 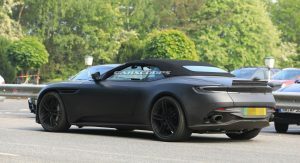 Aston Martin has been tight-lipped about performance specifications but the model is expected to feature a twin-turbo 5.2-liter V12 that produces around 700 hp (522 kW / 710 PS). 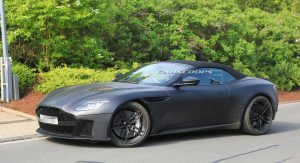 This would make the car significantly more powerful than the DB11 AMR which has the same engine but it’s rated at 630 hp (470 kW / 639 PS) and 516 lb-ft (700 Nm) of torque. 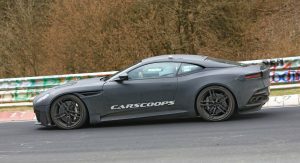 It would also allow it to compete against more performance orientated models from the likes of Ferrari. 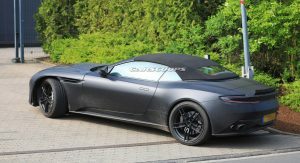 The DBS Superleggera Coupe will be unveiled in June with the Volante variant expected to arrive early next year. 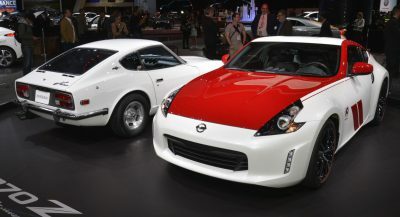 The front end looks good. 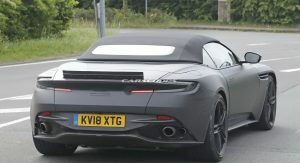 I’m not a fan of the rear of the DB11. 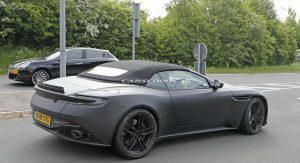 Get rid of that stupid air spoiler thing and put a real spoiler out back like the vantage. 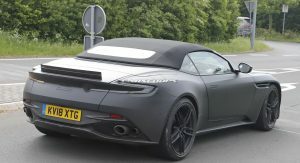 That’s not the production spoiler, it will look better than that prototype. 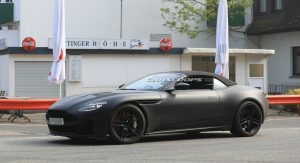 It will look very much like this prototype, either painted or in carbon fiber. 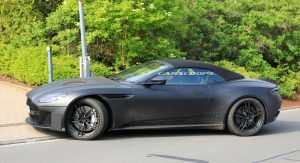 What I meant was the production spoiler won’t be two crude panels screwed together like seen here. 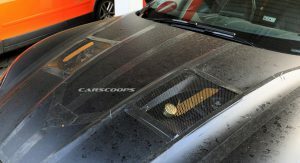 It will be some kind of small rising ‘lip’ spoiler though, perhaps less visually offensive than this prototype. 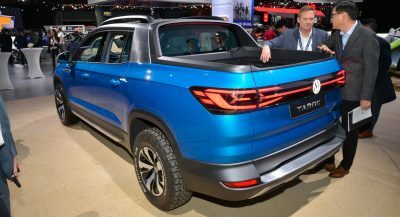 I’m surprised it’s not retractable after all. 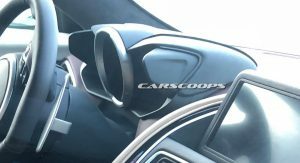 I wonder when/if they will update the infotainment to the new MBUX system. 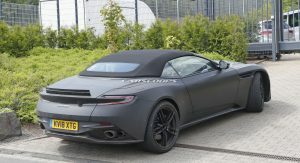 so mercedes does own aston martin. 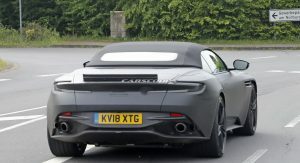 An Italian name just sounds wrong on a British car. 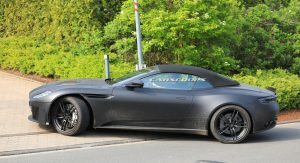 Still too early for final judgement, but still look like DB11, I kinda wish DBS just have very distinct styling. 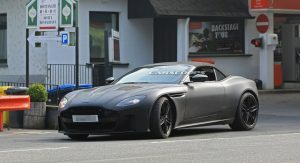 Annnnnd this is why I’m genuinely confused. 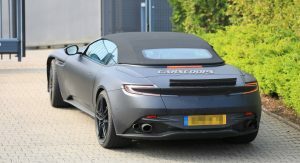 So a UK builder is using Italian words in their model names? 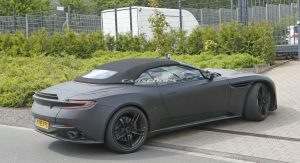 Ah, I see now. 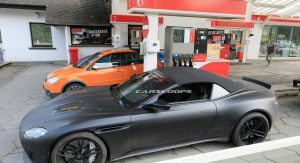 I could see that since English is a major language but Brits using Italian (which has tow very BIG competitors) seems odd. 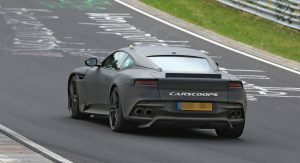 Ferrari using English could apply to MANY countries. 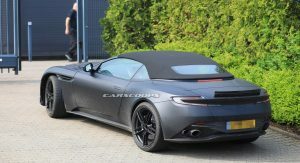 I dunno, it just seems odd I guess because Italian is not a universal language like English. 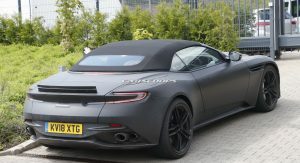 Well to be fair Italian words is very exotic, I mean just add Vetroressina and your car look 20x more exotic. 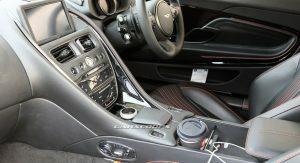 Well Austin Farina, Triumph Italia. 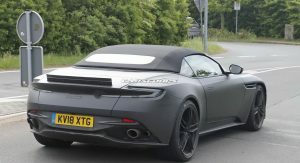 “Temporary rear spoiler,” or how about, Aston Martin’s homage to their iconic Kammback tail in the form of an active spoiler. 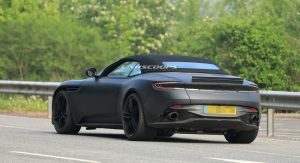 I wish this design wasn’t a derivative of the DB11’s. 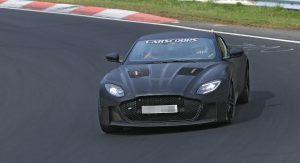 The front end is reminiscent of the Jaguar F-Type. 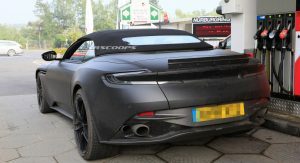 This car could use a little more styling distinction.